So went the conversation just before my son left for school the day of his first track meet of the season. I wanted him to be prepared to do his best, and that meant not having to stress over forgetting something. This conversation really just represents one of the many I’ve had with my boys. My husband, knowing I’m not a morning person, has told me more than once that he’ll see the boys off to school in the mornings while I get a bit more sleep. But, I just can’t release the need to make sure my boys are prepared for the day ahead. I remind them often to prepare the night before, but being teenagers and also boys, they usually don’t. While my husband is a terrific father, and good at many things, planning ahead is not his strong suit. Plus, he just doesn’t have mom radar. Being unprepared can be frustrating and embarrassing. It can turn an ordinary day into a bad one very quickly. And too many unprepared days usually lead to an overwhelmed life as getting by consumes any best that might otherwise exist. A habit of unpreparedness eventually creates a reactionary, drama-filled life. And that sort of life comes characterized by relentless stress and exhausting overhwelm. I want my boys to learn the value of being prepared because I know this habit sets them up for an effective and successful life. Vastly more important, though, is them knowing the concept of preparedness as it relates to their spiritual states. I want them to know that their heavenly Father also values being prepared and wants them to always stand ready. Matthew 24 conveys God’s preparedness message aptly. In it, we have Jesus’ words telling us to not panic and to instead prepare to endure to the end. The idea of panic and endurance tells us the situation will be dire and feel desperate at times. 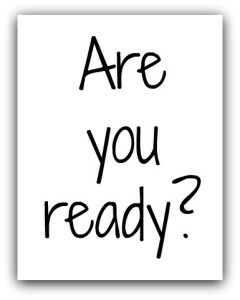 Jesus gave us what we need to be prepared, and called us to a continual state of preparedness. 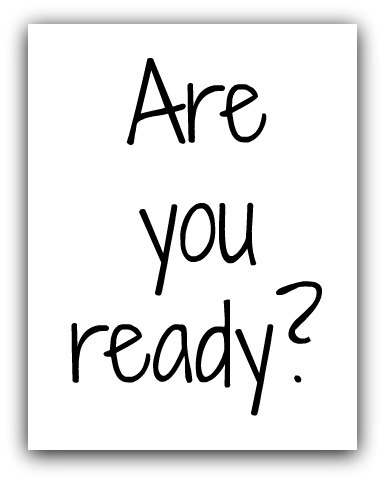 Living with a habit of preparedness based on the information you have creates the mindset necessary to be ready for THE event of all time — Jesus’ return. This is ultimately why I teach my boys the mindset of preparedness. My hope is that doing so will create a way of thinking that flows into every area of their lives, from the small events like track meets to the big ones later in life, but most importantly to the only thing that ultimately matters — their individual relationship with their Savior. Seeing the connection of everyday habits to our eternal perspective helps us better see the truth in how all we do can truly be to His glory. Preparedness is, for me, one of the most powerful examples of this principle. DISCUSSION: How would you describe your level of preparedness, both in life and eternally? This entry was posted in Focus, Victory! and tagged 2", action, bible, character, connect, connection, drama, endurance, eternal perspective, family, father, focus, habit, habits, heaven, important, individual, information, Just be, mindset, mom, morning person, ordinary, overwhelmed, perspective, plan, power, prepared, present, react, read, Ruth, scripture, seeing, spiritual, struggle, success, teenager, time, truth, value, victory, words by admin. Bookmark the permalink. I tend to be a plan ahead person in some things, but not in all. I usually know before I go to bed what I plan to wear the next day. It may change depending on the weather or my mood, but for the most past it is a done deal. I plan ahead in some things but fly by the seat of my pants in others. As for eternity: all those plans are already made and sealed. I tend to be on the extreme end of planning ahead to the point of not always enjoying the moments. But, like you, eternity is decided. In terms of eternity, I am prepared because of my relationship with Christ. But I also know that I have much I want to experience and accomplish before my life here on earth is over. As I think more about this topic and realized that many people in my circle are prepared for eternity, and I'm thrilled about that. Yet, we all struggle with being prepared for the everyday happenings of life, and I wonder how this impacts our overall impact. We're good in some areas but not usually having an overall consistency. Thoughts? 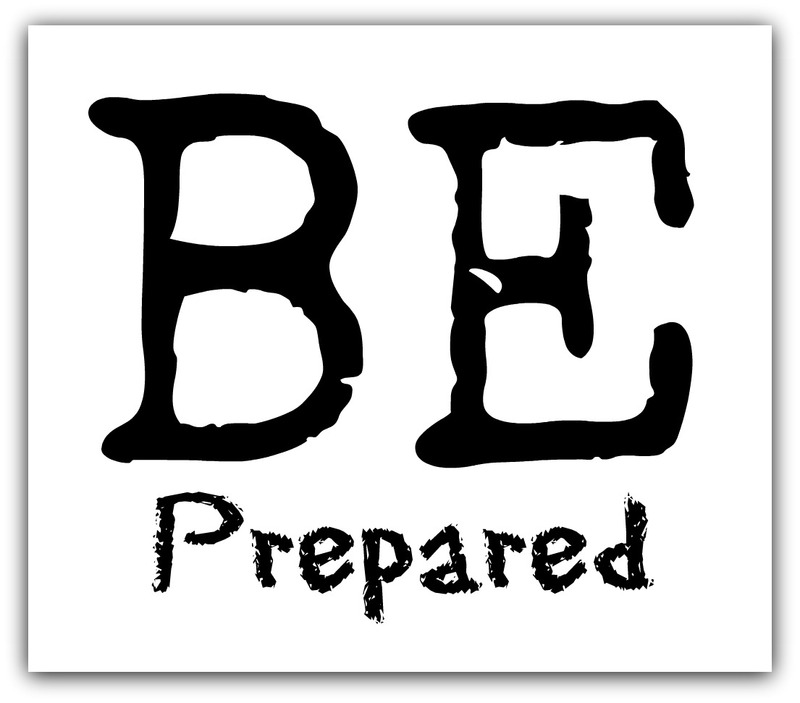 I think there is something to be said for being prepared, but there is also value in being sporadic. I've kind of shifted over the years, going from having things planned out completely to having a loose framework with the ability to be flexible. I believe wholeheartedly in advanced preparation, but I also don't want to set myself up to miss out on opportunities and experiences that happen by being present in the moment. As far as consistency goes, we have to create a few very specific, measurable goals. Otherwise, we are just drifting along with whatever life brings our way. I've discovered that the more I an be prepared for what I CAN be prepared for, the better able I am to handle the unexpected and sporadic. Things never go exactly as prepared, but being prepared makes me better able to handle things when this happens. Flexibility certainly is key, but I find it easier to be flexible when I've prepared for what I know at the time. Does that make sense? I definitely need to work on being more present in the moment, and I'm finding I can do that when I don't have unpreparedness hanging over my head. And, it's so true about consistency. We have found that to be an essential in so many areas of life (parenting, marriage, following Christ, etc.) Great input, Chris! I tend to make plans and get upset when they are changed, which can also lead to trouble. Yet I totally agree in being prepared, and I do believe that mom's have certain gifts dads just don't. At our house when a trip is coming I watch my hubby prepare the truck, the boat, his fishing stuff, all weeks ahead of time. Those of us who are people of the cross of Jesus are indeed called to be prepared by listening and obeying Him and living in His love and grace. For me that is being prepared, trusting Him to guide and handle all of life's situations, good, bad, and ugly. Trust means that when plans change or I mess up, then receiving His grace. Learning to trust in the Lord with every detail of life is the best way to make sure we are prepared for whatever happens. Great point, Mary! Preparing is a daily/ hourly activity. For eternity we always need to make sure we are walking in the Spirit and doing what He wants us to do. It's why we should develop the habit of talking with God, praying, reading the Bible, and worshiping. It allows us to be a little more prepared. Great read! Preparation is never done, that\’s for certain. As you said, it needs to be a daily habit. Thanks, Dan! Glad to finally be able to comment on your blog:) I've been really busy lately so have not been able to keep up on my reading and commenting. Believe me, Dan, I certainly understand where you\’re coming from. Always great to hear from you when you have time! I've thinking of this post for a few days. I know some may read my following comment and wonder if I am commenting on the right post. 🙂 I think preparation is so important in work, in sports, in your spiritual battle, even in your down time. As far as work goes and working in an industry where mistakes can be critical to personal and environmental safety nothing helps as much as a checklist. It significantly reduces error rates. One of the first times they flew the B-17 it crashed due to pilot error. A step was missed and they knew more training would not help. The developed a detailed checklist and they went on to fly 1.8 million miles without an incident. From experience I know you can miss a step on something you know well how to do. If it is a critical step it can be fatal. Using checklist in sports helps in practice to make sure you cover all possible things you need to cover and it also helps reaffirm correct habits in form. In life if you use checklist it can reduce stress to make sure you don't forget something. It also helps to put down on paper the things you want to make sure you do everyday to check them off. Even something as simple as doing your Bible study can be helped by having it on a checklist. The Checklist Manifesto by Atul Gawande is a great book and it details how much checklist have helped in the medical community. Great point regarding checklists, Mark. I've used them for years and find them immensely helpful in all areas of life, from my daily work to parenting. It's interesting that even the most experienced individuals (say a pilot, for example) uses checklists with activities they've done hundreds of times. We so easily get into routine that we can miss something we've done many, many times. Would be interesting to do a Bible study on this idea of checklists.